Do you find yourself pressing CTRL+S (or ⌘+S for Mac) every time you want to save an article in Joomla? Want to use different hotkeys than what Keyboard Shortcuts gives you by default? 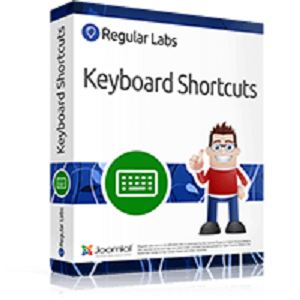 The Pro version allows you to customize the key combinations that are used for the different shortcuts. مجموع افزونه ها و قالب های موجود در سایت 3,526 فایل در 331 گروه بندی می باشد. این فایل ها تاکنون 37,707 بار دانلود شده اند.